The RX2 International Series joined the eighth round of the FIA World Rallycross Championship at Trois-Rivieres in Canada last weekend, for the first ever flyaway points-scoring round in the support series. France’s Cyril Raymond and Britain’s Dan Rooke crossed the Atlantic Ocean for the fifth stop on the RX2 tour separated by just six points at the top of the Championship, and both drivers battled the 17-strong line-up through the weekend to each set a pair of fastest Qualifying session times, Raymond taking TQ (top qualifier) in the Intermediate Classification, Rooke slotting into second. The title protagonists both won their respective semi-finals to make it onto the front row for the final. In semi-final one, America’s Tanner Whitten and Belgium’s Guillaume De Ridder both made it through into the final, but for Sweden’s Jessica Backman, William Nilsson and Andreas Backman, their weekends would conclude in the semis. In semi-finals two, Russia’s Vasily Gryazin and Sweden’s Simon Olofsson made it into the final, as Norway’s Sondre Evjen, America’s Cole Keatts and Sweden’s Sandra Hultgren finished fourth, fifth and sixth. 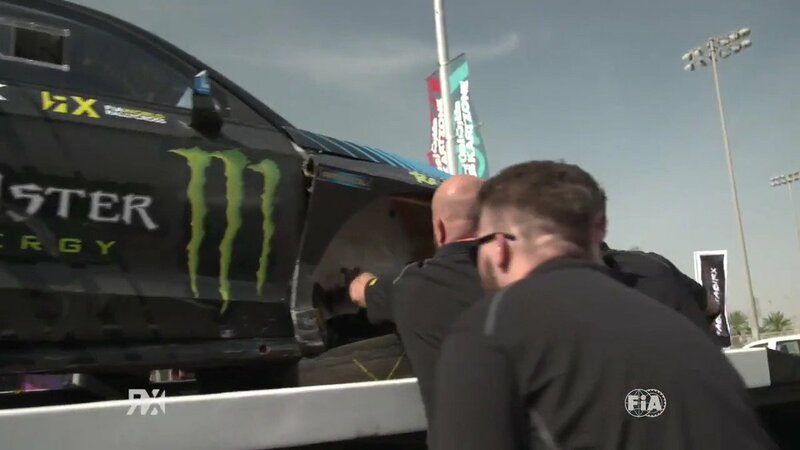 In the final, Rooke and Raymond made equal starts, but Rooke made contact with the rear of Raymond’s car while trying to switch from the outside to the inside at the first corner and as a result dropped down to fourth. Whitten made a slow start but carved his way up to third by the second corner, as De Ridder climbed from the third row on the grid to be second to Raymond. Rooke took his joker on lap one, Whitten and De Ridder took their jokers on lap two and three, before getting delayed by Gryazin, who was slowed by a technical problem. As the chasing pack bunched up behind Gryazin, Rooke tried to make up ground but made contact with De Ridder and then a concrete wall, before an unsighted Olofsson also collected the British driver’s car. Up front, Raymond scored his fourth win of the season, De Ridder finished second and Whitten third. Gryazin scored a best result of the season in fourth and Olofsson crossed the finish line in fifth. Find full Canada RX RX2 results here.